We are please to invited you to the 5th edition of the “French Touch” organized by the Les Oursins*-Delépine, on June 6th, 2014. 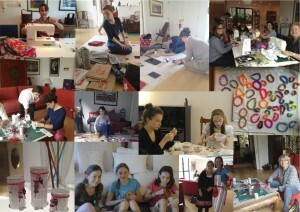 For several weeks, mothers and children are working on crafingts, painting, sewing, sculpting, cooking, and photos .. It will be amazing and nice to discover all these hidden talent who will promote their work in the name of a good cause.